If you want your employees to drop a shift when they cannot work at your scheduled time, learn how to give them access to do that. You must have a manager/admin access privileges in Humanity to enable the settings for your employees to drop a shift. 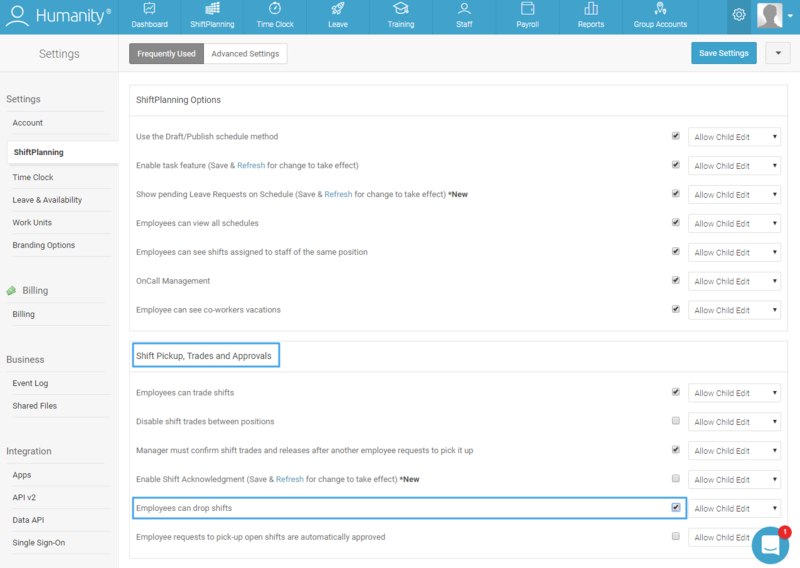 Step 3: Enable ‘Employees can drop shifts’ by checking the box under Shift Pickup, Trades and Approvals section as shown in Image 3. Step 4: Click 'Save Settings' from the top right or bottom left as shown in Image 4. That’s it, employees will be able to drop a shift when needed.